Nare-zushi or Nare-sushi refers to sushi made through processes of mixing fish with salt and rice, preserving it for a long time and fermenting it by the action of lactobacillus. 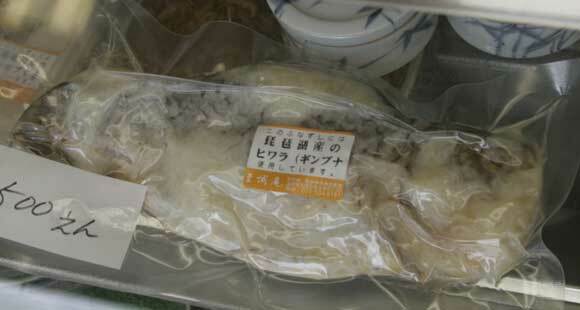 Fishes used in the Nare-zushi are Crucian carp and Pacific saury etc. ; Crucian carps are Carassius auratus subsp, C.a.cuvieri and C.a.grandoculis of which superior value, in Lake Biwa. Let's enjoy the Nare-zushi known as Funa-zushi. It has a traditional taste like a strong cheese. Nare-zushi is rich with cultural interest. Broad-leaved evergreen forests are found in a wide swath running across the Asian continent, from the eastern edge of the Himalayas to the South China Sea, including Taiwan, the Ryukyu Islands, the very southern tip of the Korean Peninsula, and most of southern and western Japan. All of these areas have one thing in common, the Nare-zushi culture.